Volkswagen Replacement Car Keys service ranging from cutting car keys, coding transponders and immobilisers to key duplicating and damage free vehicle entry. Volkswagen Car keys can be very expensive and take anything from a couple of weeks to months to order from your Volkswagen dealership, but now you can purchase your replacement car keys from us and have them delivered to you for as much as 60% cheaper. 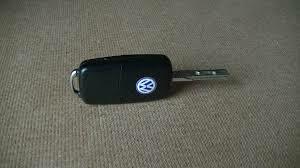 Thanks to Barry at Locksmiths 365 I got a replacement Volkswagen car key and re-codded at the roadside in Dublin. My key had stopped working when I was parked in a garage. Done a quick Google search and found these guys. They where with me within 25 minutes. A lot less cheaper than my main Volkswagen car dealer.